One of the worst things that can happen to you is being involved in a motorcycle accident. You may have broken limbs, lacerations or even wind up dead. Assuming no life was lost, you might want to hire a trustworthy motorcycle attorney to ensure you make accident claims and get the stipulated settlement. There are quite a number of legal firms in Newport Beach, California, but one of the most trustworthy firms is Rawa Law Group. Rawa Law Group is a recommendable firm because of the wealth of experience it has gathered over the years. We give injured persons the required legal representation to maximize their accident claim settlement. 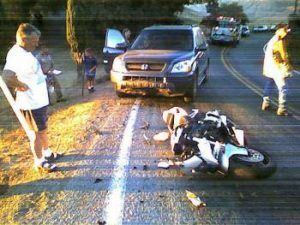 Our motorcycle accident attorneys hold their own in the industry and are amongst the most trustworthy accident attorneys in CA. At Rawa Law Group, we pay close attention to our clients’ needs and we also offer flexible hours of appointment to suit whatever schedule. Our trained attorneys can be available to make hospital or home visits and also ensure that our clients are put in the light about their case. If you wish to have such individual attention and personal representation, our arms are always open. Our clients have often taken advantage of our zero upfront costs and free case evaluation and that implies zero payment until we are successful in your case. Also as an incentive, the ethical legal counsel, our clients get from our trained attorneys for free. Do not hesitate to reach out to Rawa Law Group if you want to hire a trustworthy motorcycle accident attorney Newport Beach, CA.